Nathusius’ pipistrelle (Pipistrellus nathusii) is one of Britain’s least known mammals. The Essex Bat Group is contributing to a national initiative to better understand its distribution and ecology. This will enable us to work to protect the species from threats such as habitat fragmentation and wind turbines. Despite being a tiny animal, weighing less than 14 grams, these bats regularly migrate across the North Sea, making Essex an important county for their study. Although we know relatively little about their ecology, they are most reliably detected around large water bodies. Much of the local survey effort has therefore focused on Hanningfield and Abberton Reservoirs. Nevertheless, the species remains under-recorded throughout the county, as well as much of England. Where there has been local sustained survey effort Nathusius’ pipistrelle has been found to be relatively widespread in small numbers. However, breeding colonies remain elusive with none currently known in England. 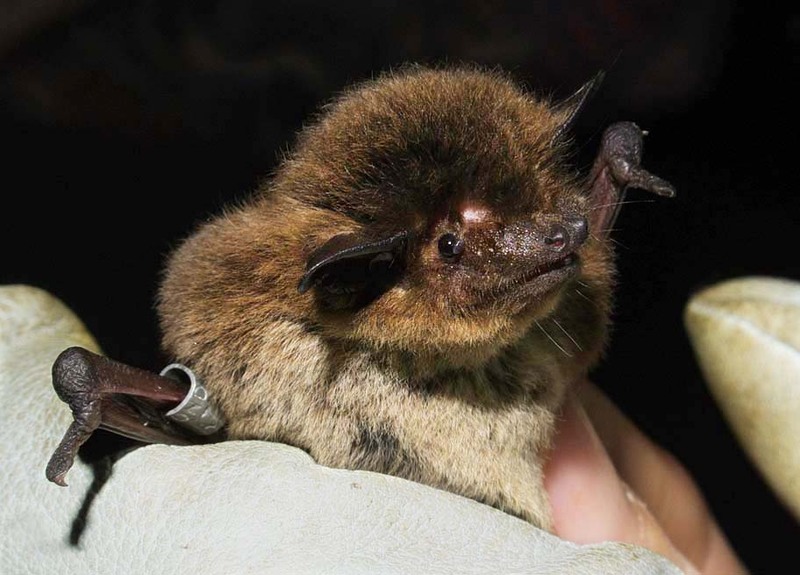 The objective of the Essex Nathusius’ Pipistrelle Project is to locate, catch, ring and radio-track bats (under Natural England licence) to discover where they roost and forage and how use the wider landscape, especially larger water bodies. The project also affords the opportunity to engage local people, to raise awareness of bat conservation and to seek participation. Our events and activities depend entirely upon volunteers and we support them providing relevant training in skills that contribute to the project. This project has been financially supported by Essex & Suffolk Water, Lee Valley Regional Park Authority, Essex Recorders partnership, Essex Biodiversity Project and Essex Wildlife Trust.